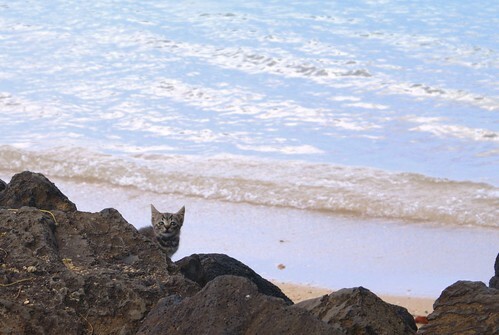 There's a good number of feral cats on the island. Not nearly as many as there are chickens, though. This one was especially cute and we gave it some amount of food.